How does religion and religious life become visible in (european) metropolises? In which way do religions influence our way of living, urban social behaviour, and urban development? Which impact do urban structures have on religion vice versa? These are the questions, that the online exhibition "The Urban Sacred" is dealing with. analyses and documents both religious icons and icons that explicitly depict motifs of religious encounter from the three European capital cities of Amsterdam, Berlin, and London. 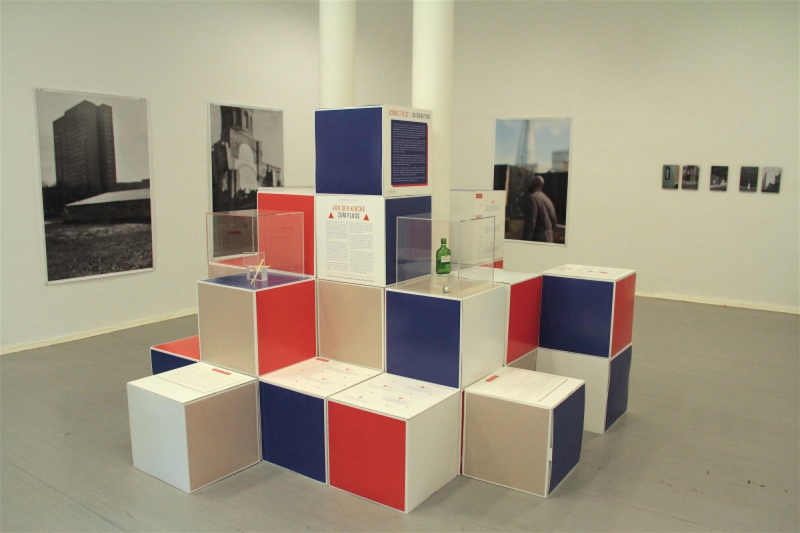 [The] exhibition investigates creative approaches to knowledge transfer, presenting a bundle of diverse materials (photographs, objects, maps, texts) that attempt to mediate the relevance of exhibitions within discourses on religious diversity. Where do we find the sacred in today’s cities? What impact does religion have on the urban landscape, and to what extent, in turn, do cities influence religion?